My DA page always needs something fresh... there you go! May 27, 2016 Hey, fellow Trainspotters! Mar 6, 2013 New locos? WATCH THE EAST! Dec 7, 2012 Way too cold and new photospots. Bruxelles' line 51 quickly caught my attention with it's 1970s PCC cars in a constant 10 minute headway throughout the day. I followed the line quite a bit during the day, the results will appear in my gallery in the oncoming months. 7934 in particular just came to a halt at the station Porte de Flandre, where a huge crowd already expected it. Thanks in advance for favorites! 010 on a westbound freighter near Perschling, lower Austria. I'm still alive! I just ended up across half of europ again in the last week. For example here at Marche-les-dames station in Wallonia (Belgium) where this AM70JH decided to enrich the scenery on it's eastbound local service. That means 95% of my gallery are related to railroad stuff. I'm also a dragon fanatic. I love to draw theese beautyful creatures. Often besides the tracks whilst waiting for the next train to come by. I live close to river Danube. A beautyful place to live at! Talk to me if you want to know something. Favorite visual artist - Favorite movies I might enjoy a movie as long as it's no cheap bluebox-computer-effect-hollywood-crap. Favorite TV shows I got better things to do than watching trash TV or soaps which basically require a watcher's IQ equal to the one of a toaster to be entertaining. Favorite bands / musical artists Pendulum, Deadmau5, Skrillex and everyone to produce great D&B, Dubstep, Electro, House tracks. Favorite books Everything with good fantasy or classic crime stories. Favorite writers Too many Favorite games War Thunder, Cites:Skylines. In earlier times also Simcity, before EA killed the gameplay of this series sucessfully. Favorite gaming platform PC Tools of the Trade Money ?! Other Interests 1435mm (4F,8.5In) and everything related. Today I added several people to my watch list I so far only watched indirectly via groups. While doing this, I had the idea for this journal entry. Sorted by Alphabet, to get some order into all this chaos! Not all watchers/watches included, I focused on thoose who upload high quality railroad related things! Also: THere are a few I consider watching but do not watch jet. So don't feel excluded just you're not featured in this journal! One of thoose trainspotters who know what they're doing! likes to draw locomotives. If she just would draw a little more! Submitted a enormous number of great historic railroad pictures which get way too less attention so far. Time to change that! Often spots quite interresting trains across germany. Like this one! One of my best friends, sadly very inactive on DA. High quality shots from GB! Sadly quite inactive lateley. His way to take railroad pictures is professional. We also already met up for Trainspotting! Lots of nice north american pictures. And Dragons. A trainspotter from CZ who seems to like steam engines and taking good shots of them! Watch for classic cars and trains. Sadly not as active as in earlier times. 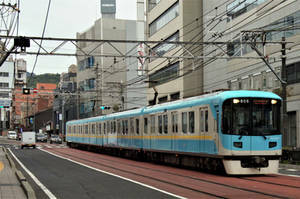 Nice rail related pictures from Japan, but not just thoose. Trains from southern Korea! Sadly got quite inactive during the last year. 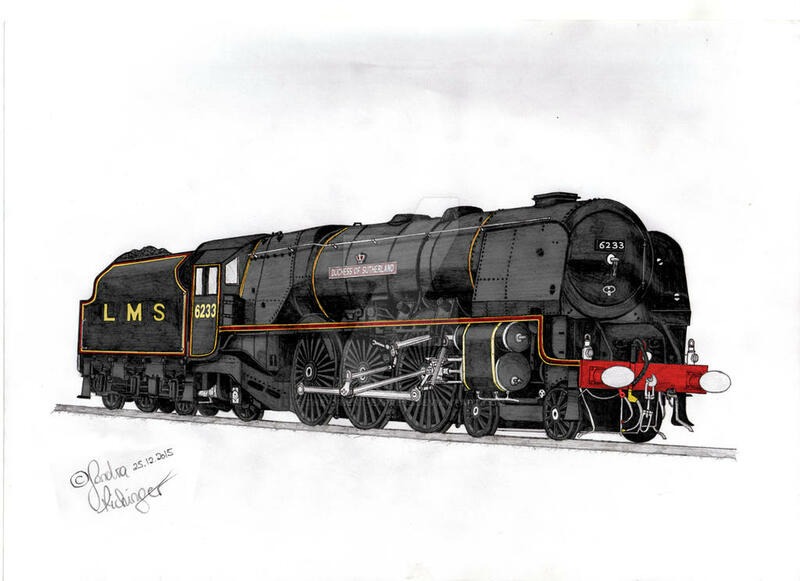 He likes drawing mostly european rail vehicles with simple pencils and improved a lot in doing so. Give him a few years and he will master this! Good photographer, good 3D builder. 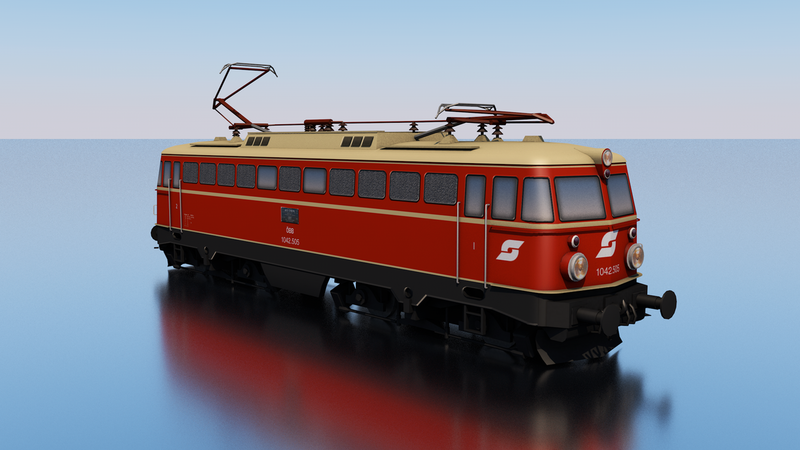 If you play Train Fever and downloaded some good looking austrian vehicles there's a good chanche he made some of them. Here's my favorite 3D model.... guess why Sadly a little inactive lateley. For his fast growing gallery full of Frankfurt's light rail system! A huge number of good shots from Portugal. Sadly inactive theese days. Also lives around Cologne and got a lot of beautyful shots of some german classics, especially classes 103 and 110. Recently got active again! I like his style of Photography, eventhough his main focus aren't trains. He's got excellent shots in his gallery. Also many creative things. His username is programm: Swiss trains! Sadly quite inactive lateley. One of the few american deviants who mainly focus on passenger trains. He also was so kind to help me find photospots when I visisted New Jersey! He often uploads pictures from romania, especially CFR. Thank you very much for all of the recent faves!! Stefan! Cheers for the support! Thank you for the fave Stefan! Thank you for the faves Stefan ! You're welcome, theese where nice pictures! Thank you very much indeed! Much appreciated!